I know I am late. But, better late than ever..no!! So, on 28th of September, this beautiful event was organized by Wella International at Wella Store, Select City Walk, Saket. I went there with my hubby, son and my sis Ritcha. I could not attend the meet personally as my son was not well and was not ready to leave me for so long, so only Ritcha could go there and attend the event. The meet was so enlightening and covered all aspects of hair color. Here I will share some insight about the biggest myth about hair color. 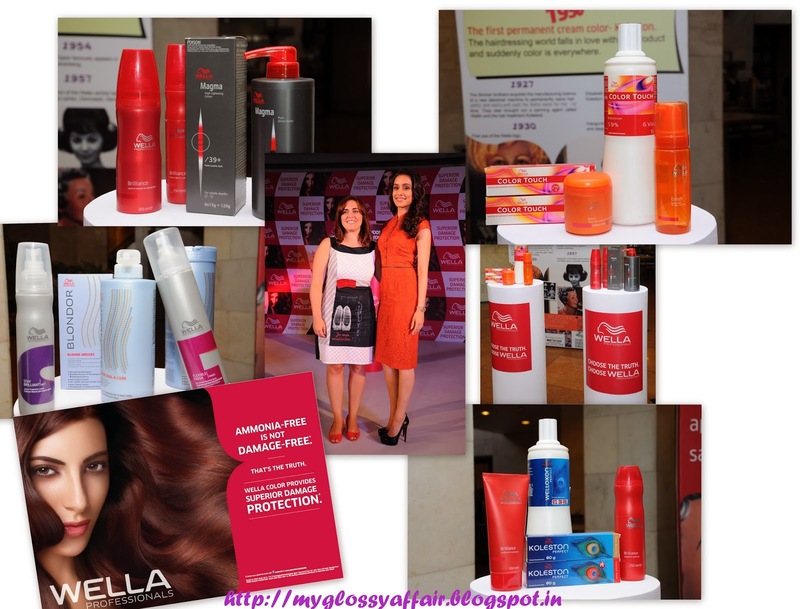 Delhi, 28th September, 2013 Ammonia-free permanent hair color is the latest vogue in hair color industry and consumers have started showing more affinity towards it as they consider it less damaging . A deep seated myth about hair color highlights ‘Ammonia free Hair color as damage-free, because it does not smell so strong’; But the truth is, ammonia-free permanent hair colors replace ammonia with another – similar active ingredient which even though doesn’t smell, can be worse for your hair. Wella Professionals & Bollywood Diva, Shraddha Kapoor revolutionized, redefined and reinvented the mind sets of Delhi women by bursting the traditional myths surrounding hair color and educating them about the truth behind hair color. The Science: Every permanent hair color needs an active ingredient, called “alkalizer”, so that the hair color can enter the hair cuticles and color it. Ammonia is the most common alkalizer which has been safely used in hair coloring for 50 years. Certain permanent hair colors – sometimes referred to as “no-ammonia” or “ammonia-free” often use another alkalizer called “MEA” instead of using ammonia, MEA is not a new technology. Demi/Semi-permanent colors have been using MEA for more than 20 years in a safe way. However, some permanent hair color brands, in order to get rid of ammonia & its smell, have also started using MEA. But MEA is used in much higher concentration by these brands as it’s a less effective alkalizer for permanent hair coloring. AND this can be much more damaging for your hair. Ammonia has been safely used in permanent hair and is known to be one of the best technologies in permanent hair s for long lasting performance. It provides excellent grey coverage and pure results without compromising hair vitality. In fact ammonia is a volatile, naturally occurring substance that does its job during coloring and evaporates immediately. That’s why you can smell it so strong and so fast. Wella, the Salon Professional division of P&G, is the premier name in professional hair cosmetics & pioneer of innovation and trend spotting. High-Quality, High-Performance and High-Fashion are three of the key reasons why its products are preferred by world’s most renowned hairdressers. Wella Professionals contributes to enhancing the hairstyling profession and building a strong relationship with hairdressers with cutting edge technology, new initiatives and by offering comprehensive training programs for salon owners and their employees. 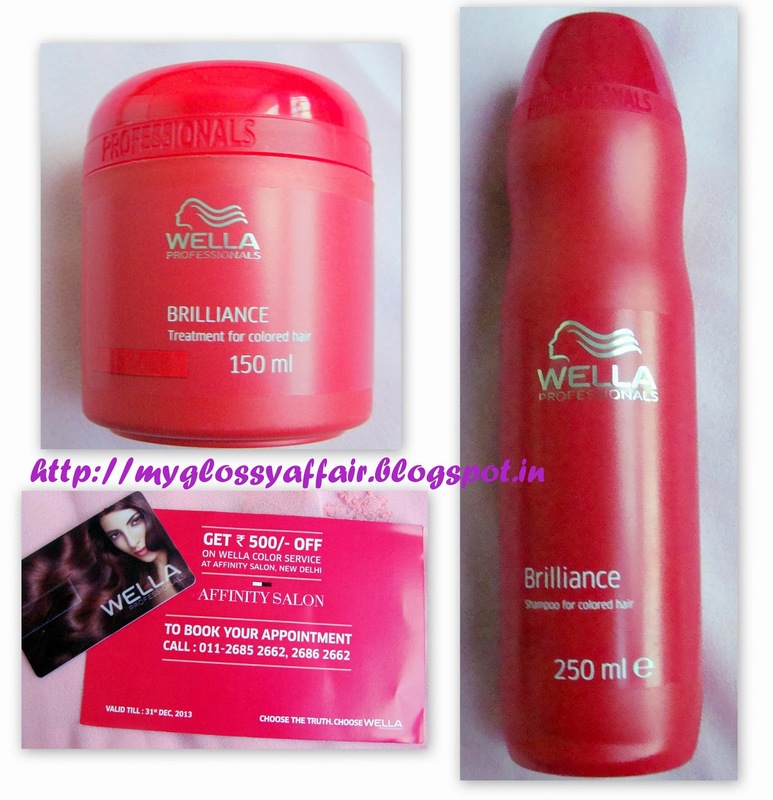 Wella gave all the bloggers an awesome gift hamper containing Wella shampoo and masque for colored hair and a voucher of Rs. 500 for Affinity Salon. Did I love that? Yeahhhhhhh. She is Maria Castan, a Senior Scientist at Procter & Gamble from Darmstadt, who was there to answer all the queries related to hair coloring!! I am the villain here as I always take advantage of my little sis but that’s what we sisters are for…no!! An outfit post for the same day coming soon! !